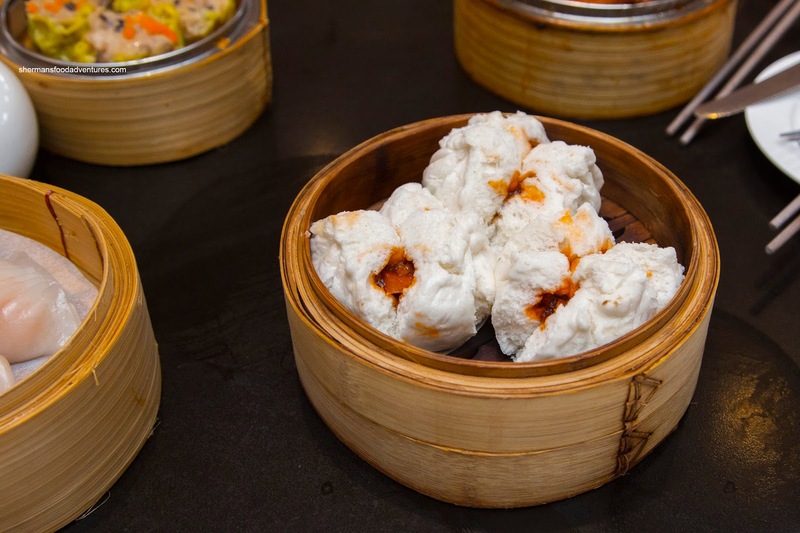 Going for Dim Sum during the holidays can often be even busier than the regular weekend rush since people are either off work and/or it is a great way to meet up as friends and family. 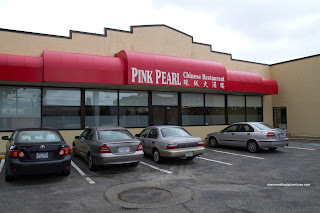 Since we were planning to do some dim summing on Boxing Day morning (which was also on a Saturday), we went for something less obvious and most likely less busy - Pink Pearl. Yes, we fully knew that we were giving up some quality for pure convenience and minimal craziness. Mind you, last time I was here, it was with the MIL, so there was a whole lot of craziness in memory only. Since the place still employs push-carts, we were able to grab food pretty quickly. Okay, let me rephrase that... The pushy push-cart ladies ensured that we ordered food and ordered it ASAP! 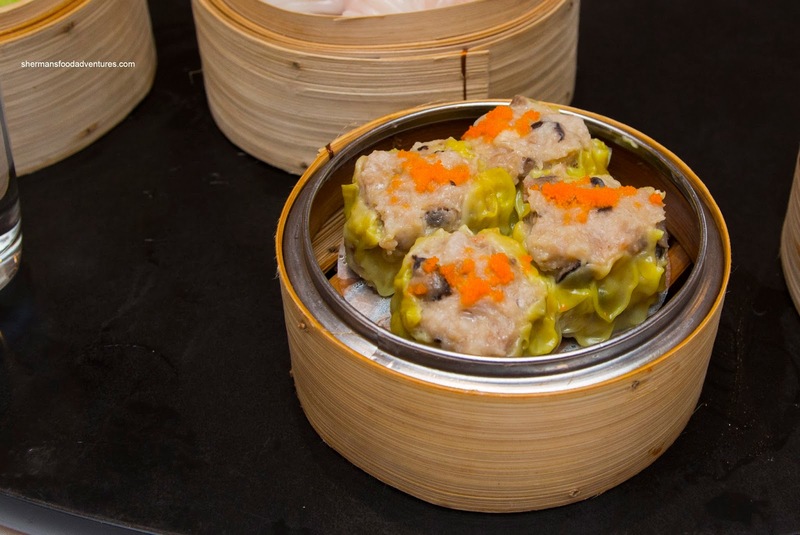 As much as push carts can be novel, it can also compromise the integrity of the food, which it did for both the Haw Gow and Spinach Dumplings. 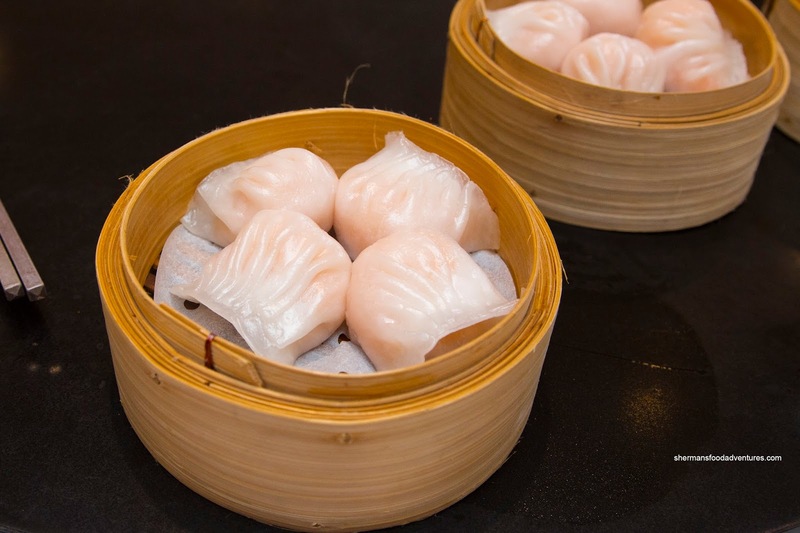 It is true that the dumpling skins were too thick and possibly too dense, but the fact they had been sitting around exacerbated the problem. On the other hand, the shrimp filling was decent with a mix of whole pieces and some mousse as a binding agent. There was a considerable amount of sesame oil essence to go with the ample seasoning. With the spinach dumplings, it was essentially the same except for the addition of soft spinach. 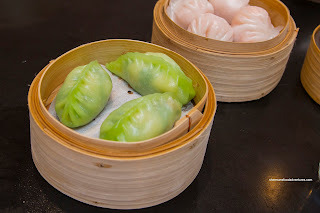 As much as the pushy push-cart ladies wanted us to order every dumpling under the sun (even ones that were already on our table! ), we held firm and went for some other items instead. They included the Phoenix Talons (Chicken Feet) and Steamed Pork Spareribs. 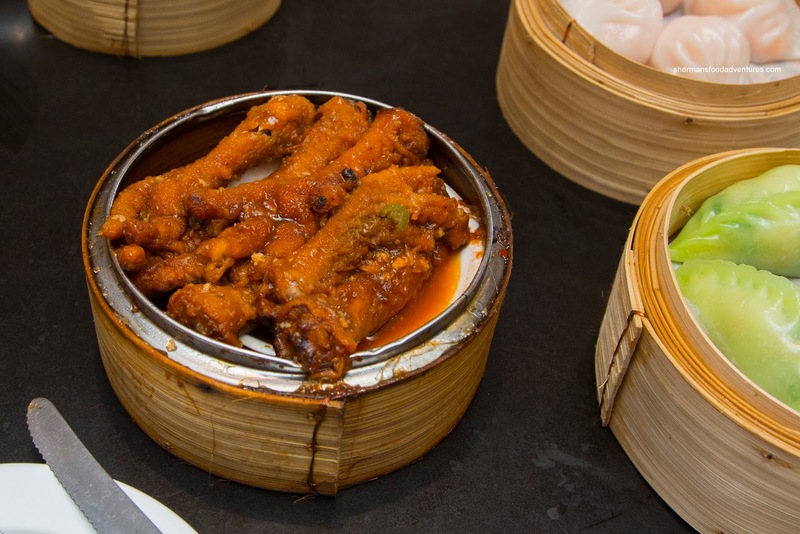 Despite disheveled-looking, the chicken feet were actually pretty good. 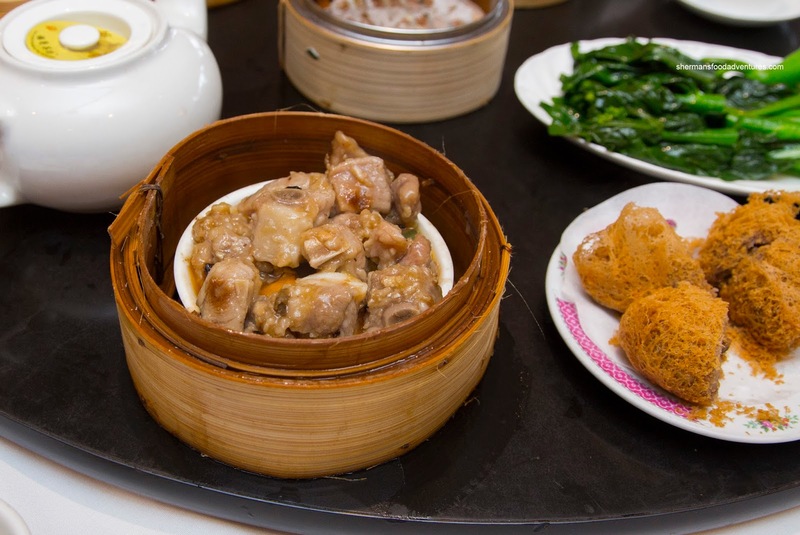 Both the fried skin and cartilage underneath were soft and plump while not melting away. There was a good balance of savoury and sweet with some garlic and peppery notes. As for the spareribs, they were not exactly salty, but the flavours were so intense, it could only be the result of a good amount of MSG. Hence, the pumpkin underneath soaked it all up which made each bite rather flavourful. Texturally, the meaty ribs exhibited the classic bounce texture. At this point, we were asked again if we wanted more dumplings including the Sui Mai. Even with clearly 2 steamers of such in plain view! WTH? Anyways, these contained almost an equal amount of pork and shiitake mushrooms. Therefore, the dominant flavour was the pungent rehydrated meatiness of the shiitakes. The chunks of pork were fairly soft with only a bit of chew. I liked there was very little fat. 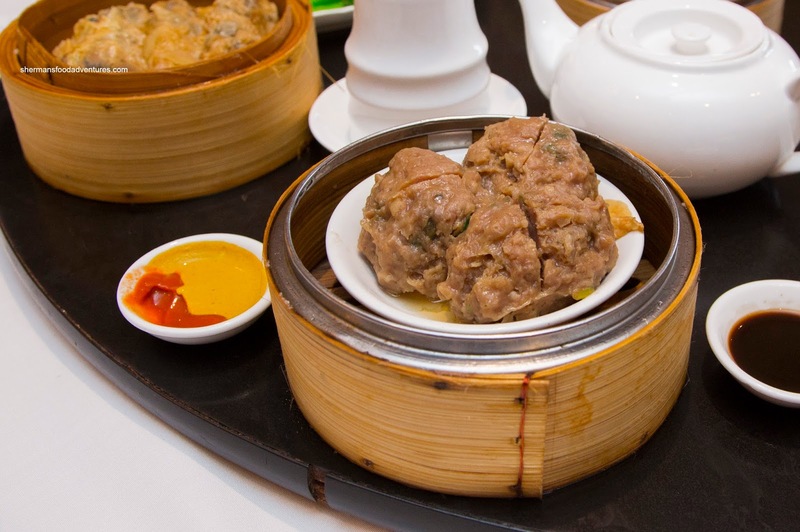 From meat dumplings to Beef Meatballs, the texture was pretty much on point. There was the desired rebound from the processed meat, yet there was still some natural meatiness remaining. There was a minimal amount of green onion and some bits of water chestnut adding some crunch. The whole thing was mildly seasoned with only a touch of sweetness, but we were dunking it into Worcestershire sauce anyways. 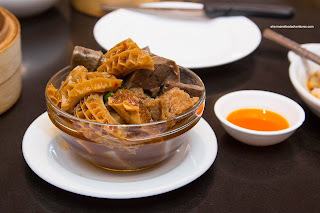 With the current trending moving away from one large Lo Mei Gai in favour of either 2 or 3 mini-versions, it was a complete surprise to be served the ol' skool portion. The benefit was a more uniformly moist, yet glutinous sticky rice. 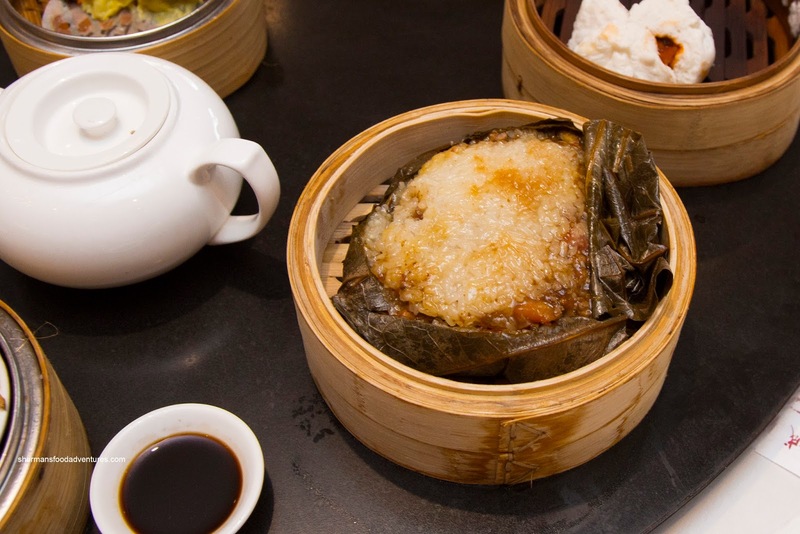 Underneath, there was a bevy of ground pork, dried shrimp and shiitake mushrooms. Ultimately, this was one of the better items we had. Another decent offering were the BBQ Pork Buns. They were large and filled with plenty of lean BBQ Pork. It was sauced with a balanced amount of sweet and savouriness where the colour was quite appealing (love that allura red E129!). As for the bun itself, it was fluffy and light while mildly sweet. Onto a few deep fried dishes, my son really, really wanted the Deep Fried Taro Dumplings. Since these were sitting in the push cart for who-knows-how-long, they weren't exactly hot. 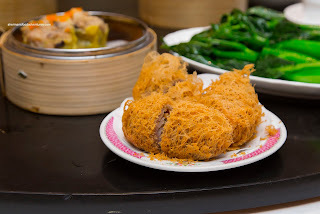 As such, the crispy exterior was compromised where the layer closest to the soft mashed taro was rather dry. Other than that, the dumpling was not very greasy with a meaty filling that was well-seasoned. The kiddies were not feeling it for the regular spring rolls and specifically requested the Shrimp Spring Rolls instead. So we ended up getting 2 plates piping hot from the kitchen. Good thing too as it didn't suffer the same result as the previous taro dumplings. Hence, they were hot and crunchy while easy on the grease. Inside, the shrimp/mousse filling was bordering on salty, but tasted quite good. Texturally, the shrimp exhibited a buttery snap. 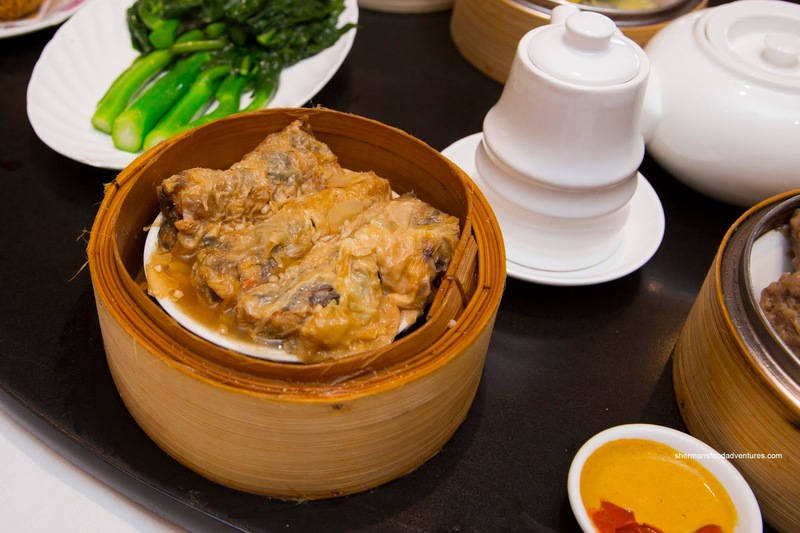 An interestingly-prepared dish was the Bean Curd Skin Rolls. Normally, this would feature a pork filling that would be either fatty or tenderized. However, this one was pretty meaty and almost beef-like in texture. No matter, as there was a good amount of wood-ear mushrooms to break up the monotony. This was rather salty in my books since the sauce on the outside was already pretty flavourful. Another ol' skool dish was the Assorted Beef Offal featuring honeycomb tripe, lung, brisket and some daikon. The stewed offal was pretty "new" which meant nothing was melting while the textures were on the chewier side (especially the brisket). Furthermore, the whole thing was rather gamy since the dish was very mildly seasoned. 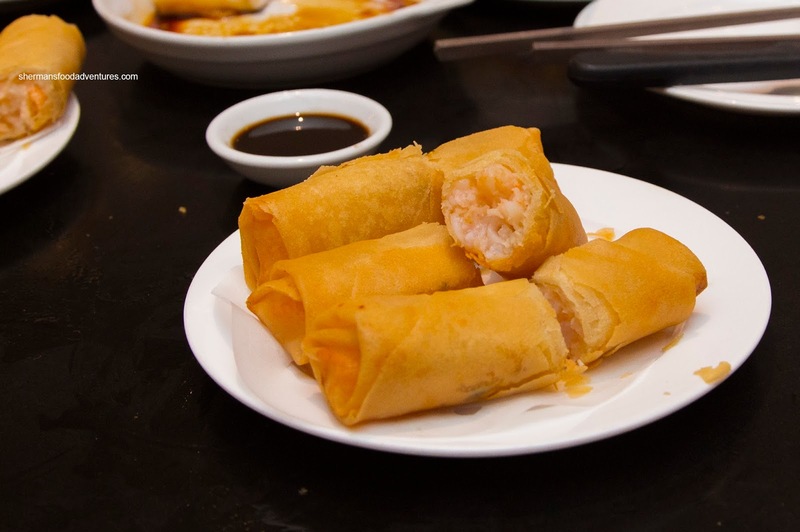 Onto our last 2 dishes, we had the Shrimp Rice Noodle Roll first. 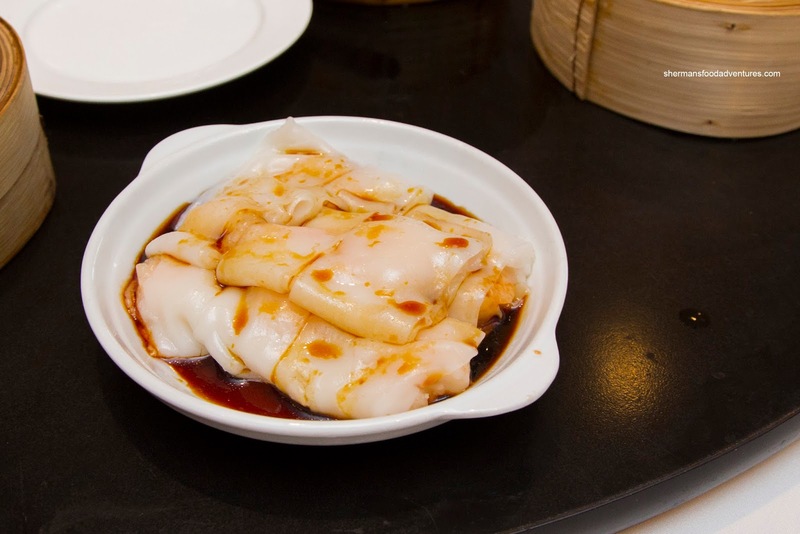 It sported fairly firm rice noodle sheets that resulted in a rather still roll. Inside, there was a modest amount of whole shrimp which were well-salted and exhibited a meaty snap. By itself, the rolls were plenty seasoned, but the sweet soy added even more flavour. 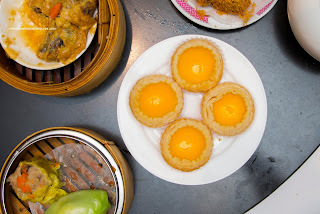 Lastly, we had the Baked Egg Tarts for dessert. These were decent even though being a bit underbaked. Lacking colour and a consistent flakiness, the tart was mostly crispy with defined layers. There was a butteriness that was complimented by the silky and sweet egg custard. As much as the Dim Sum service at Pink Pearl was acceptable, the overall consensus was of "meh". But we expected that due to our choice of venue.